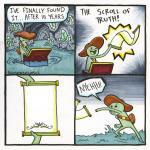 The scroll of knowing de whey. 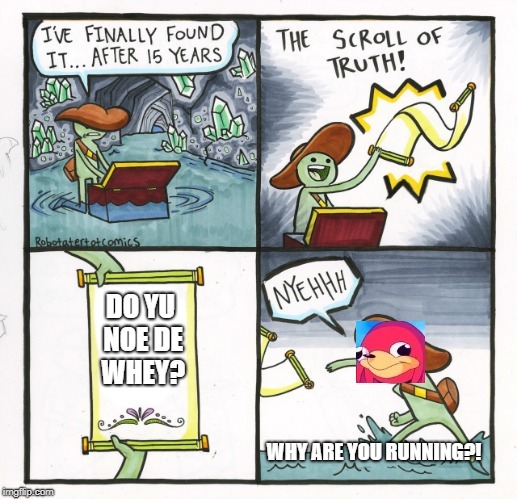 DO YU NOE DE WHEY? WHY ARE YOU RUNNING? !